The Macallan has had its fair share of moments over the past years, be it in Australia or in Hong Kong, with its various releases and events. 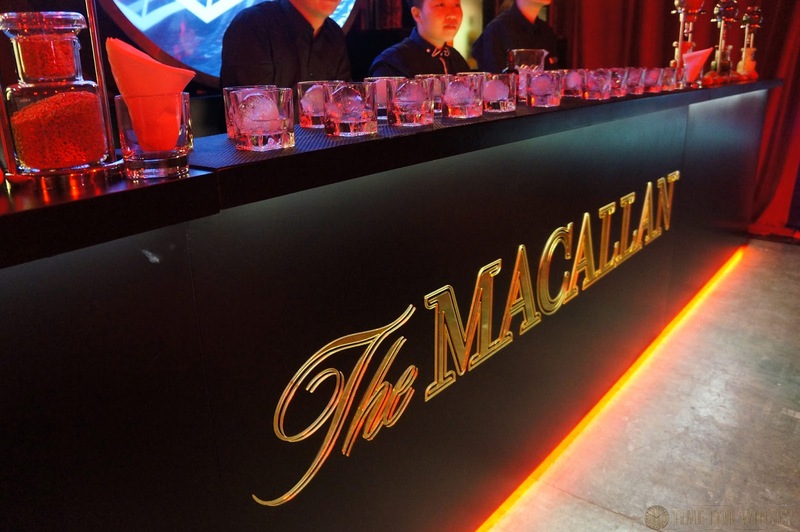 The recent auction of The Macallan Lalique Legacy Collection; a collection of six rare Macallans made news globally when it sold for an incredible $993,000 USD at a charity auction. 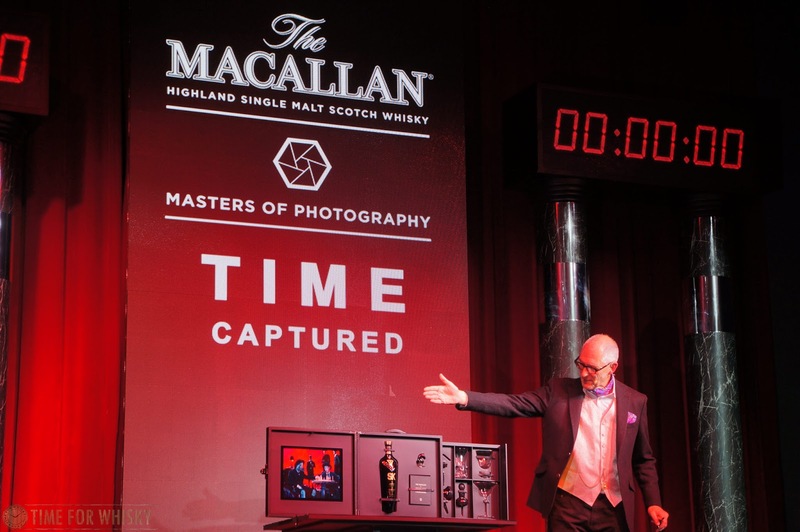 This was followed recently by the launch of the sixth official Masters of of Photography release which saw whisky from the post war 1940s / 1950s era blended with Macallan aged in ex-Rioja wine cask (see Martin's write-up from the HK launch here). 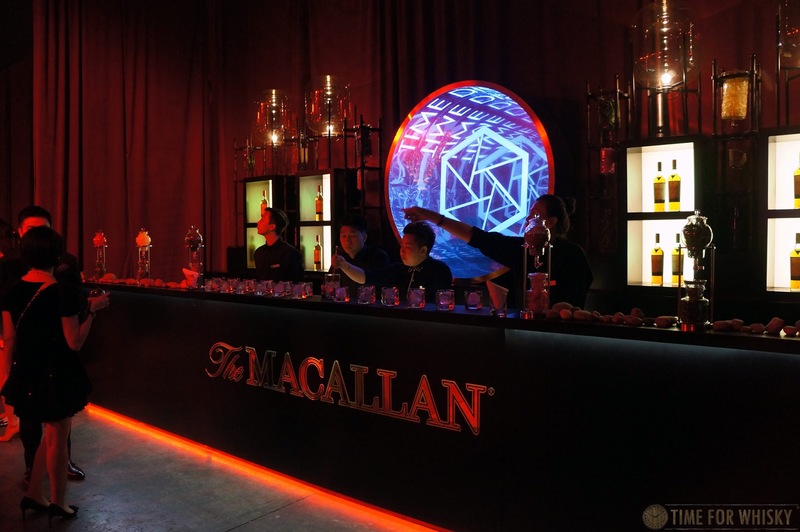 Nevertheless, the launch of The Macallan Double Cask 12yo in Australia this month has excited people once more and may mark the re-invigoration of aged Macallan malt in Australia since the 1824 series was last released in 2013. 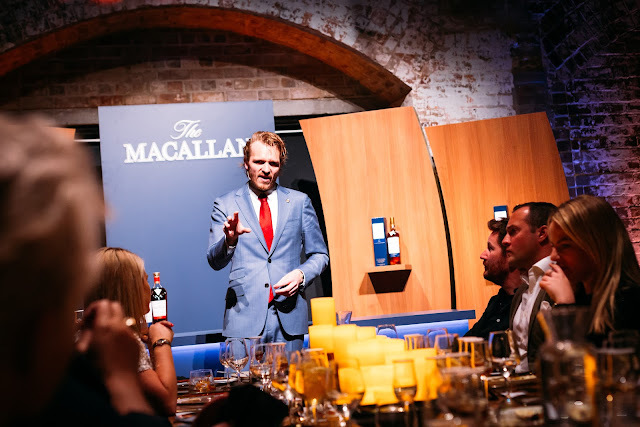 Speaking to Sietse Offringa, Global Brand Ambassador for The Macallan at the Toast the Macallan pop up dining earlier this month - he certainly shared a view that Australia is a market that Macallan has its eyes on, and we will have to watch this space for more exciting releases from The Macallan - perhaps Edition 3?! 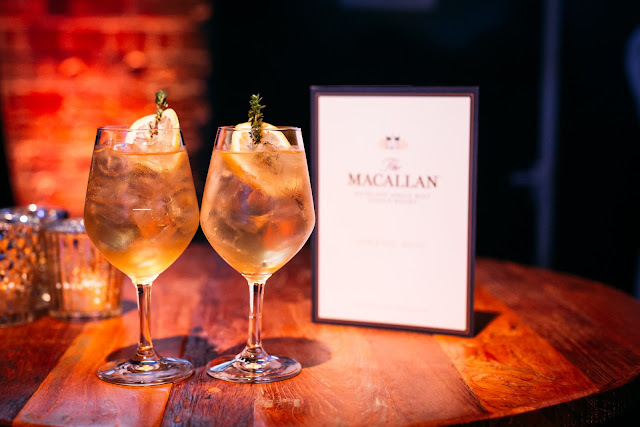 The launch celebration saw the establishment of a pop up dining event series across both Brisbane and Sydney, dubbed 'Toast the Macallan' - Led by premium marketing and distribution company, Spirits Platform. The event was Spirits Platform’s first marketing initiative since its partnership with Edrington (which will see the company distributing The Macallan, Highland Park, The Famous Grouse and Cutty Sark in the Australian market) started in April 2017. The event featured whisky tasting masterclasses led by Sietse and a three course menu curated by James Viles of Bowral's two hatted restaurant; Biota Dining. James Viles commented on his excitement to have worked with The Macallan to curate the menu, which saw a series of dishes that complemented three Macallan expressions, including the Fine Oak 12 Years Old, Double Cask 12 Years Old and the Macallan Rare Cask. We joined the Sydney celebration and attended the pop up event held at Roslyn Packer Theatre, Walsh Bay. Upon arrival guests were presented with the opportunity to have their photos taken as well as savour a couple of Macallan cocktails - Fine Oak Copa and the Double Cask Old Fashioned. 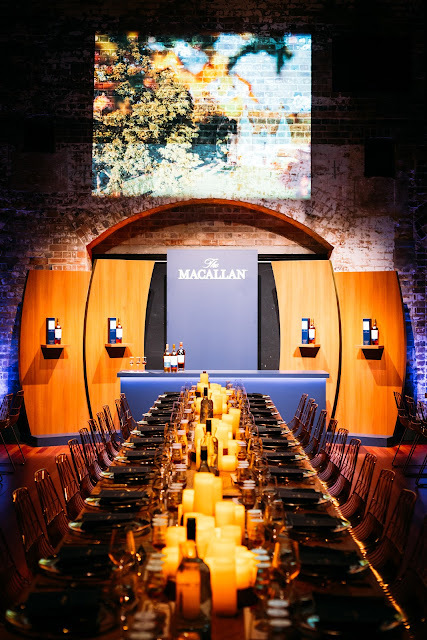 The Roslyn Packer Theatre had been transformed to reflect the opulent nature of The Macallan and the special 'Toast the Macallan' occasion. Macallan bottles were plastered across the theatre wall and there was even an appearance by the Macallan that had been dubbed as the most expensive whisky in the world; The Macallan 'M Decanter' whisky from the 1824 Series. Unfortunately, there was no tasting of the M on the night though Sietse did bring it out for photos when we chatted with him on the night. 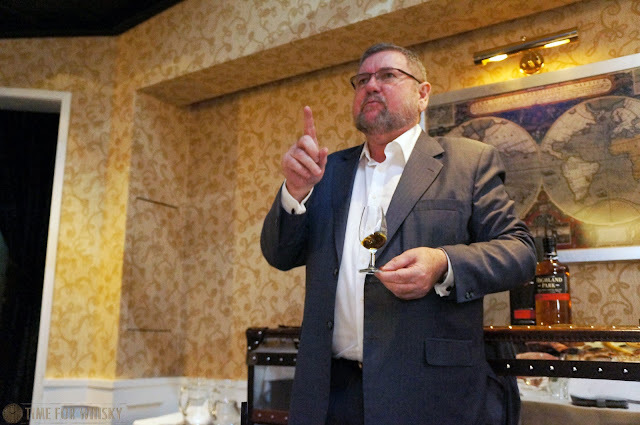 Led by James Viles, the selection of dishes were impeccably curated and paired. 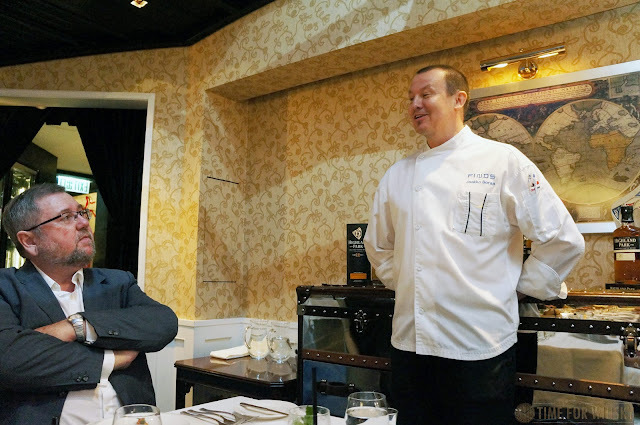 James introduced each dish, paired with a Macallan which Sietse would introduce. 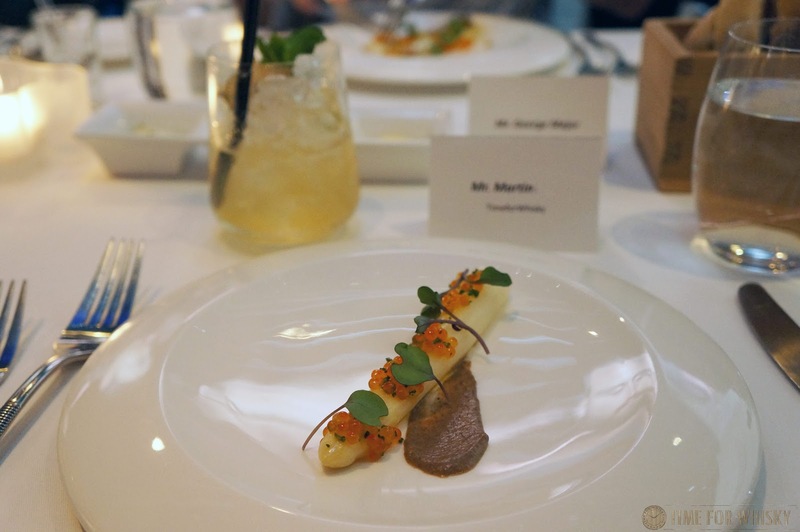 The Fine Oak 12 was paired with an entree of smoked kingfish loin and showcased the marrying of the honied, fruity malt notes with the fresh, citrus fish dish. The citrus was also compounded with a side dish of citrus and wild fennel salad. 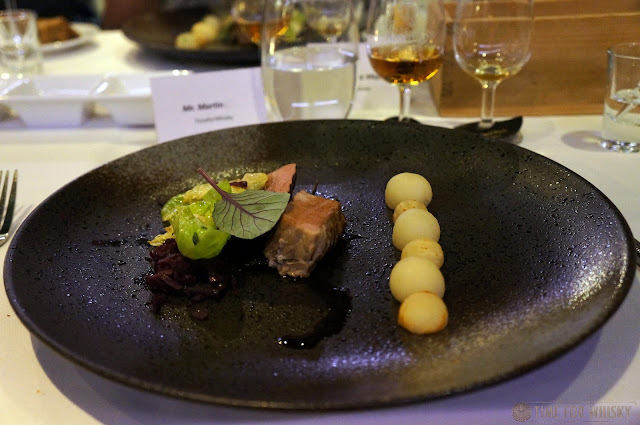 I have always found food pairing to be an interesting challenge for chefs as paired dishes can either complement or over power a whisky, and striking a balance is often more challenging than it seems. The newly released Double Cask 12 Year was paired with the main dish which to me was the highlight of the night. 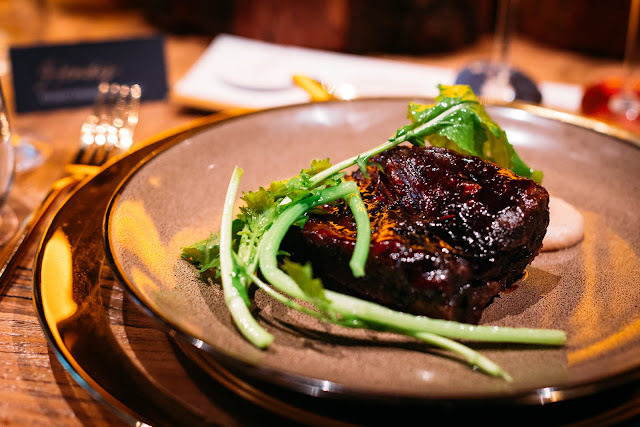 The fruity, citrus, sweet caramel and spiced characters of the Double Cask complemented the sweet and earthy glazed beef rib that was served with wild mushrooms. The glistening glazed beef rib was succulent and tender and the Double Cask pairing defied the old adage of serving meat with malt. The dessert of honey creme with toasted rye and j choke ice cream elegantly helped to finish off the night, with the dish showcasing a textural play on the palate with the toasted rye bark and the nitrogen granulated ice cream. Served with The Macallan Rare Cask which I found to not be as rich as others found - the honied, fruity notes presented well with the sweet and malty ice cream. 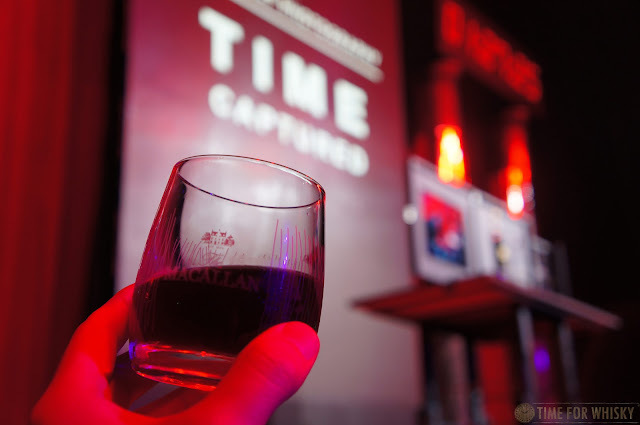 Martin reviewed the Double Cask when it was released in Hong Kong last year in June, though I have appended some notes of mine from the night, to try and compare or perhaps find commonalities. An enjoyable every day dram either with or without a meal. The sweet, fruity and spiced nature of the Double Cask is fairly balanced and I found the overall malt quite fresh and zesty. Nose: Fresh with citrus, vanilla, raisins, candied orange, cloves - perhaps Christmas cake and dried fruits, followed by notes of stone fruits and black pepper. Palate: I found the palate to be interesting - fresh, zesty, sweet caramel, honey, nutty, peanut bars even, bitter melon and starting to dwindle into this lighter, tannic spiced malt - nutmeg and more of that pepper. Finish: The sherry influence is there. The finish is floral and medium long with lingering bitter sweetness and nuttiness. Thanks to the Edrington Group, Spirits Platform and Porter Novelli for having us on the night to celebrate the launch of the Double Cask in Australia. 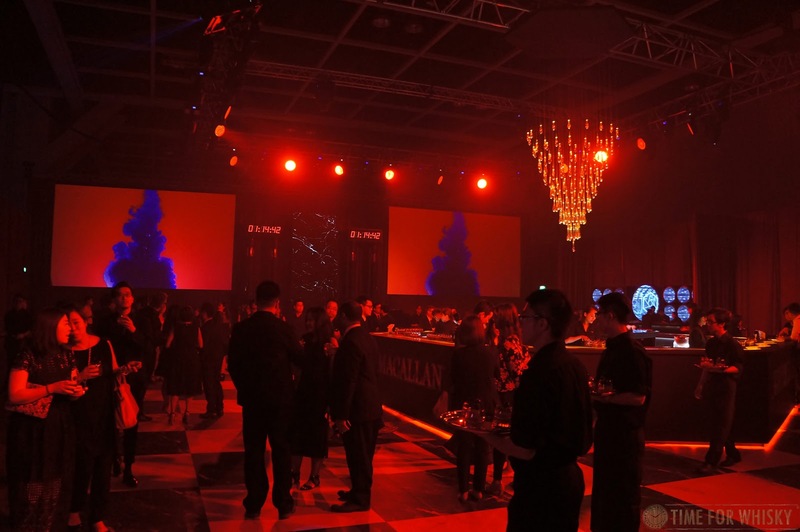 Last Friday night saw Edrington Hong Kong launch The Macallan Masters of Photography Steven Klein Edition, the Sixth official release in the series (not including the Steven Klein edition of Rare Cask Black). 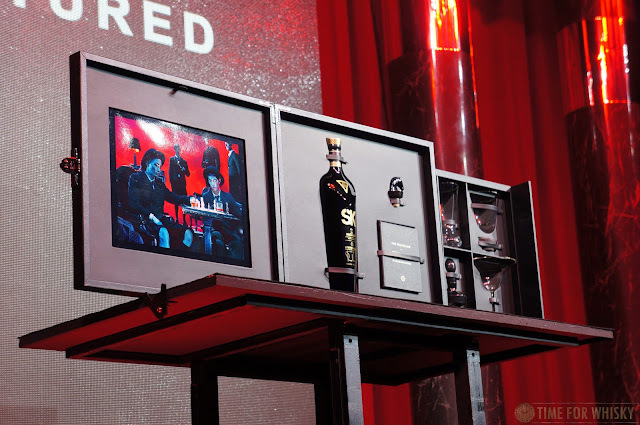 Priced at $2,999USD and bottled at 53.9%, the NAS release includes whisky distilled "in the 1940s or 1950s", and for the first time ever, Macallan aged in ex-Rioja wine casks. 1,000 bottles are available, with just over 30 coming to Hong Kong (HKD price TBC). Now I'm no art critic, but based on what I've seen, Steven Klein's aesthetic seems to bring together fashion, sexuality, dystopianism, with a good dash of colour. 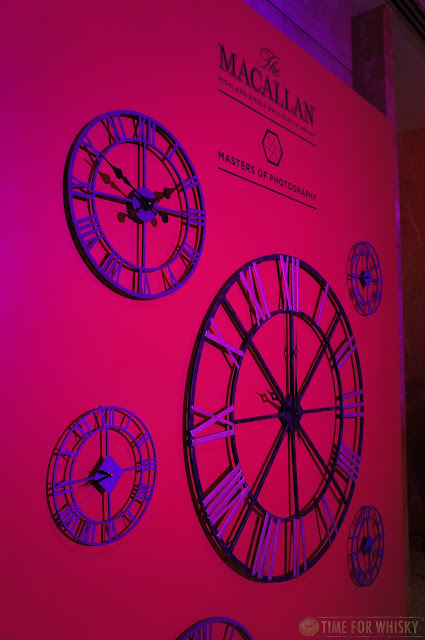 Just like the video below, produced as part of this Macallan. 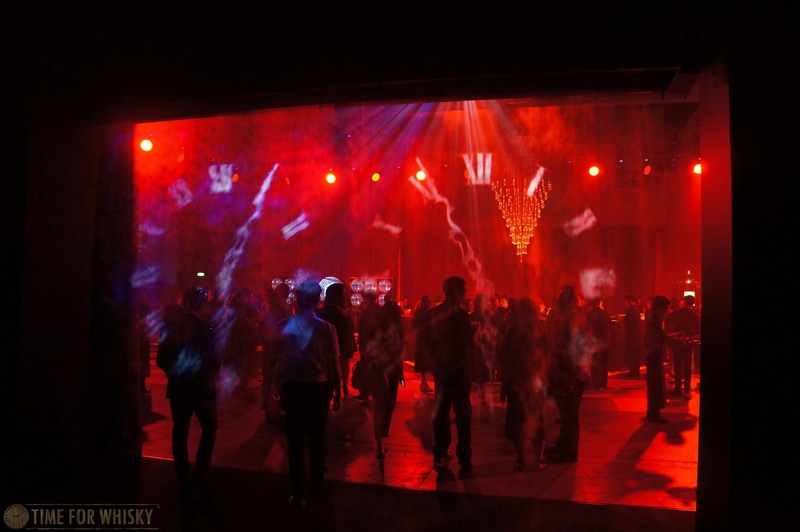 What we were met with upon arrival though could easily have been the set of the next Steven Klein shoot, only with everyone looking a lot more animated and happy than in the above video! Happiness which was no doubt partially a result of the cocktails on offer - including a Double Cask 12yo Rusty Nail, a smoked ginger Old Fashioned and a cherry cocktail which was delicious, but definitely one for the sweet tooths. Cocktails were passed around the room, or available from the three bars each offering a different one, with bartending theatrics (liquid nitrogen etc..) on show, whilst two large countdown clocks loomed in the background. When those clocks finally did strike 00:00:00, Brand Director for The Macallan Ken Grier (who we first met 12 months ago at the launch of the 65yo in Lalique) took the stage to introduce the whisky, and explain a little about the collaboration, and the liquid itself (although the aforementioned details - whisky distilled in the 40s or 50s, and ex-Rioja Macallan, were about all the details we were given on the whisky's make-up). With all those cocktails, you might think there was a noticeable absence of neat whisky (a point some attendees made too), however before long, drams of Rare Cask made their way around the room, followed by a lovely Rare Cask cocktail (whose ingredients I didn't manage to note, but seemed to include some sort of PX Sherry. Either way, it was delicious). Whilst we didn't get to actually try the The Macallan Masters of Photography Steven Klein Edition (not unexpected, given the crowd size), the event was a huge amount of fun, and a testament to the ongoing creativity that the Edrington Hong Kong team put into their events. 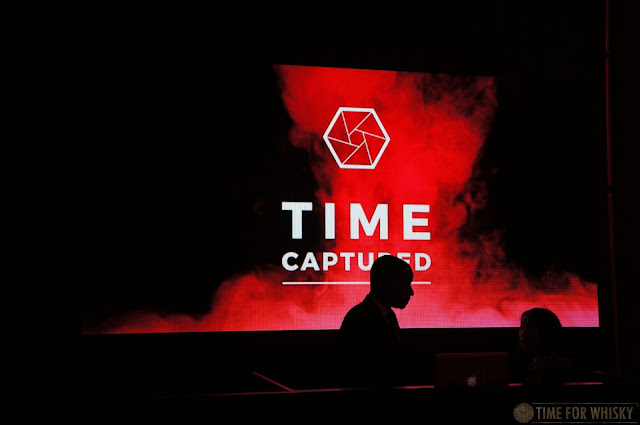 We can't wait to see what's in store for the next launch. 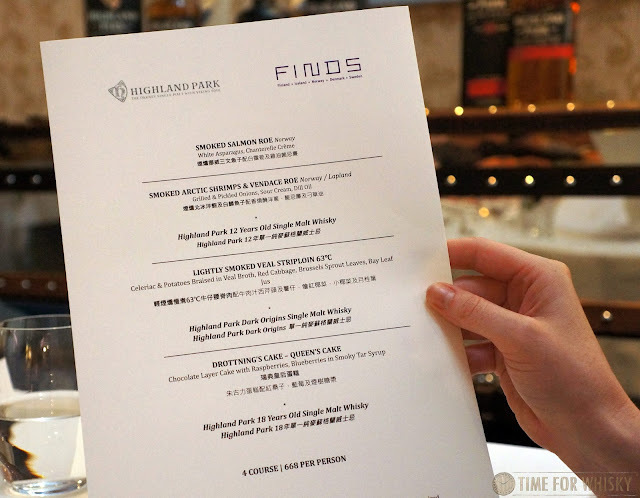 Two nights ago Steph and I attended the launch of the new Highland Park pairing menu at FINDS - Hong Kong's first and only Nordic restaurant. 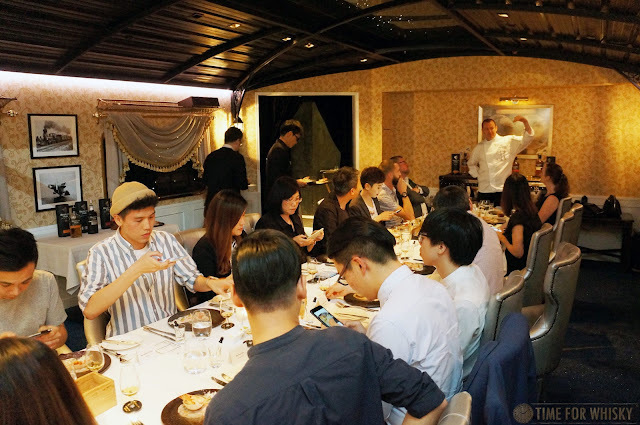 FINDS (which stands for "Finland, Iceland, Norway, Denmark, Sweden") are offering a set four-course menu (paired with 3 Highland Park drams) for $668HKD/person, and Steph and I went along to see what it was all about. 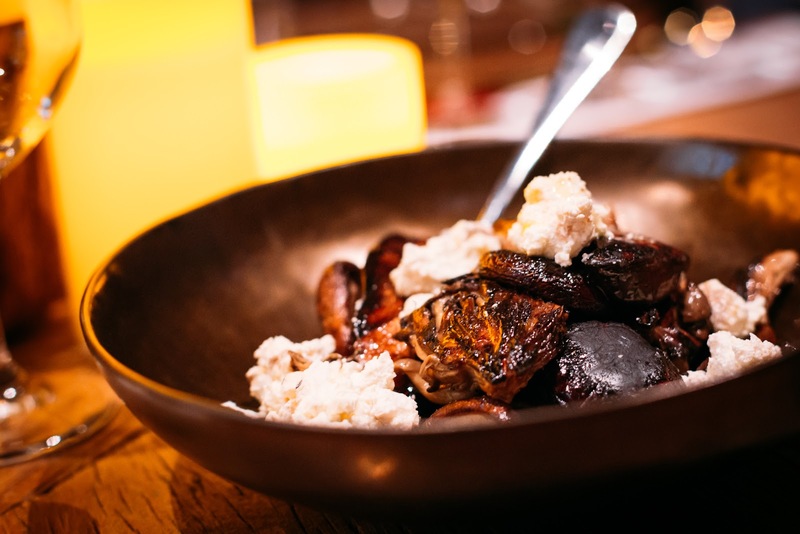 We've included a full write-up below, but in summary: a fantastic menu at a very fair price, with cleverly-paired courses. 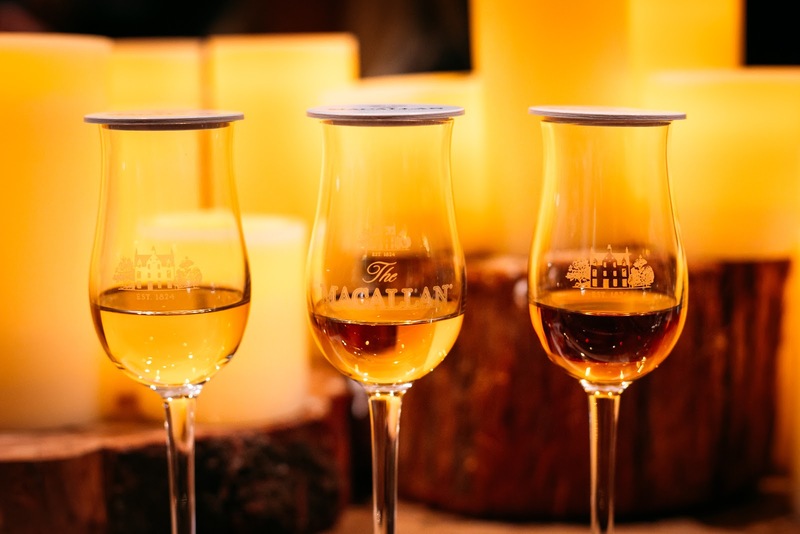 Whisky meal pairings can be great, but they can also be difficult to execute (we've attended plenty over the years). 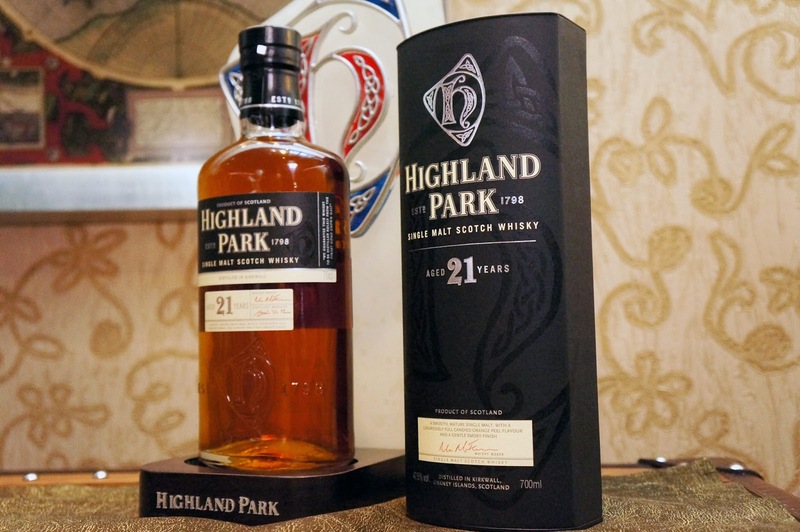 We're happy to say this one was spot on - with the subtle Highland Park smoke pairing beautifully with the delicate smoke used in various ways in the four dishes. Upon arrival we were handed a welcome cocktail by bartender Sam, made with Naked Grouse, Pear cider and Pear Juice, with a mint garnish. Incredibly refreshing considering the 28degC temperatures outside (Summer is coming)! Soon after, we were shown our seats in the private "Nordic Express" room (the regular menu will be available in the main restaurant), which is best described as 'Alice in Wonderland' meets the Orient Express, under the cover of stars. After a brief introduction from the FINDS communications team, our host for the night (and good friend of TimeforWhisky.com) Ron Taylor gave us an introduction to Highland Park, its Orkney Islands home, and its viking heritage. 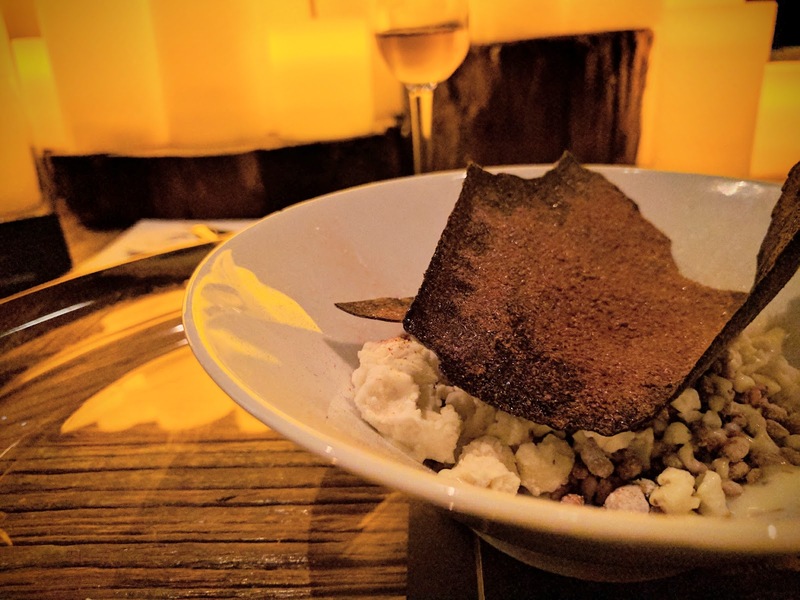 As the first dish arrived, Executive Chef Jaakko Sorsa gave an introduction, explaining that he saw an "affinity" between the lightly-smoked nature of Nordic cuisine, and Highland Park's delicate peat smoke character. We were also provided a copy of the menu (below), which is exactly as available until 31st August (the only difference being we finished the night with a dram of Highland Park 21yo, which isn't included in the regular menu). 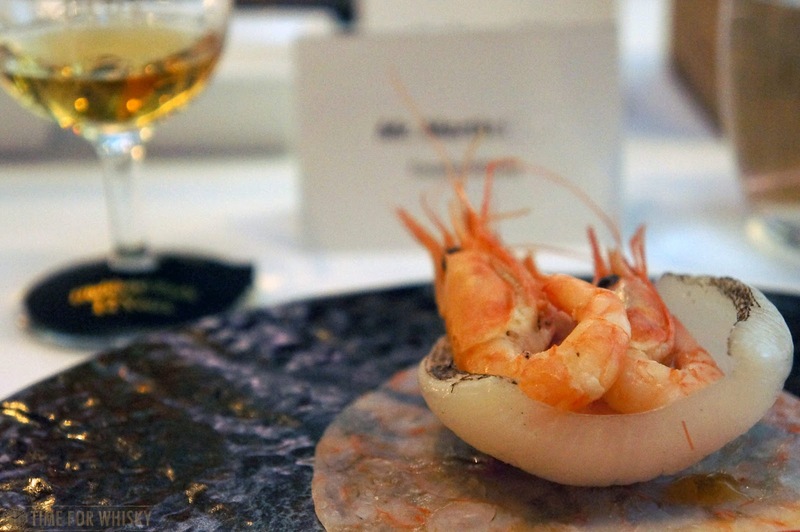 Our first pairing course, Smoked arctic shrimp & Vendace roe with grilled & pickled onions, sour cream and dill oil was paired with Highland Park 12yo (below). Chef Jaakko explained the difference between the various Nordic shrimp available, and how these were the result of some serious exploratory efforts through rural, Northernmost Norway, where the sub-zero temperatures provide the shrimp with a firm texture and delicate sweetness. 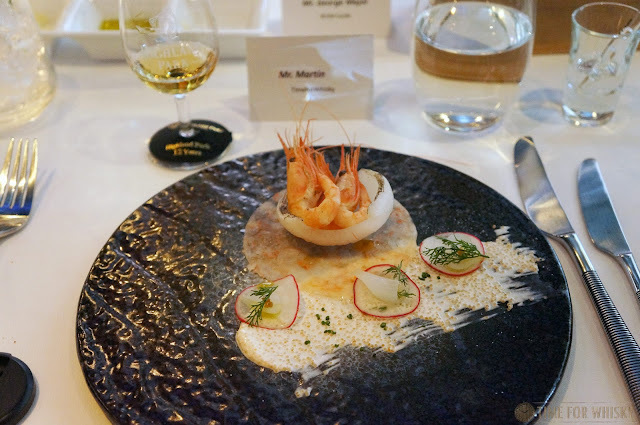 The shrimp / prawns (which were definitely much sweeter than usual) paired far better than I'd expected with the Highland Park 12, with the shrimp bringing an almost fruity sweetness out in the whisky which wasn't noticeable when enjoyed on its own. Lightly smoked veal striploin 63˚ with celeriac & potatoes braised in veal broth, red cabbage, brussell sprout leaves and bay leaf jus was next, paired with Highly Park Dark Origins, the more heavily sherried (NAS but said to be ~15yo) expression which celebrates the early days of Highland Park's founder Magnus Eunson's illicit distilling. I found the heavily-sherried Highland Park accentuated the "meatiness" in the veal with this pairing, making for a powerful (and enjoyable) combination. 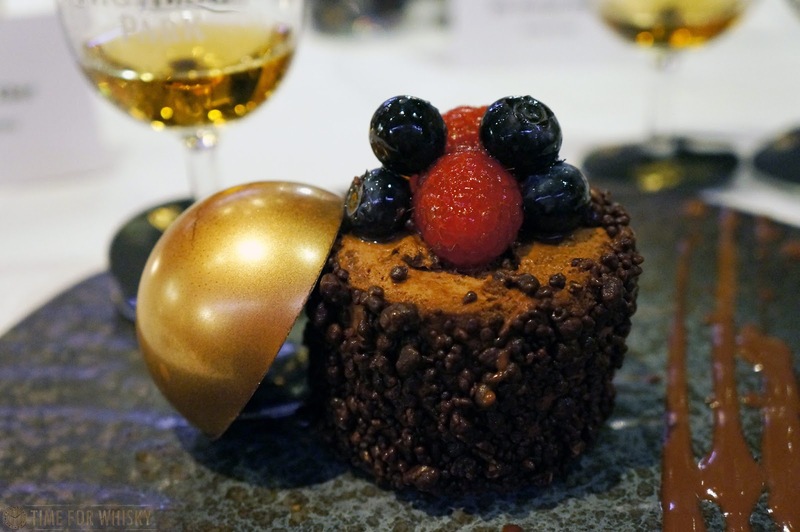 Our last course was the visually-stunning "Drottning's Cake - Queens Cake" - chocolate layer cake with raspberries & blueberries in a smoky tar syrup, paired with the perennial favourite of many - Highland Park 18yo. I have to admit I'd never seen "tar" used as a dessert (or any dish) ingredient before, but I was curious. Chef Jaakko explained the theory and uses behind pine tar, and how he'd used it to add an unique tarry smokiness to the dish. 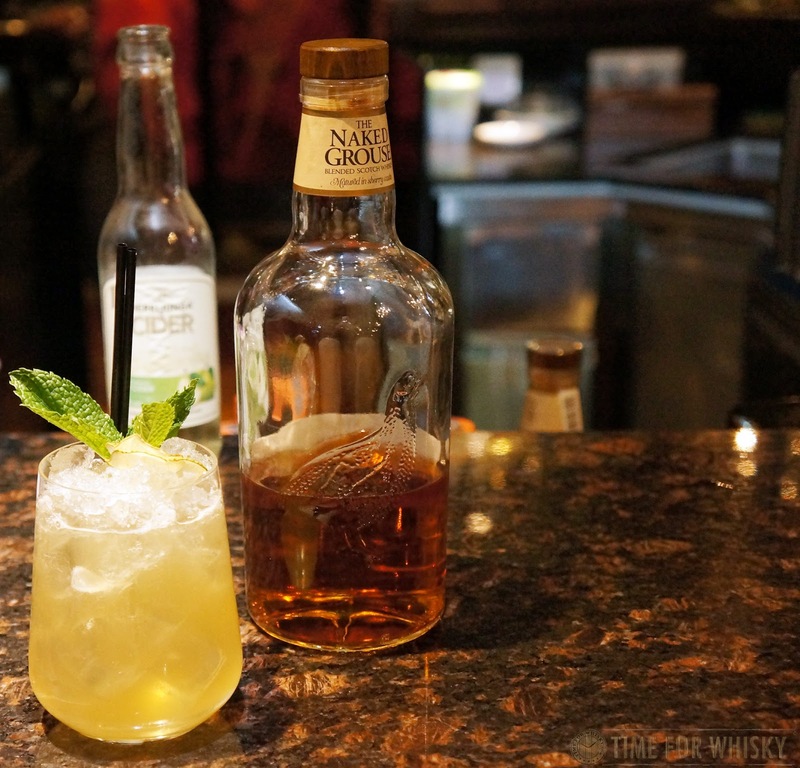 Hats off - it worked beautifully, both on its own and matched with the Highland Park 18. Whisky pairing is tricky, and usually in a multi-course menu we find some which don't quite hit the mark...but that was not the case here. 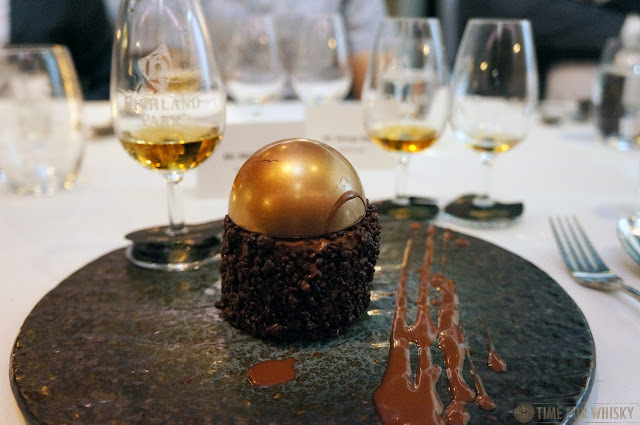 Each of the 3 pairings were spot-on, with both the whisky and food enhancing the flavours of each other. Bravo, Chef Jaakko. 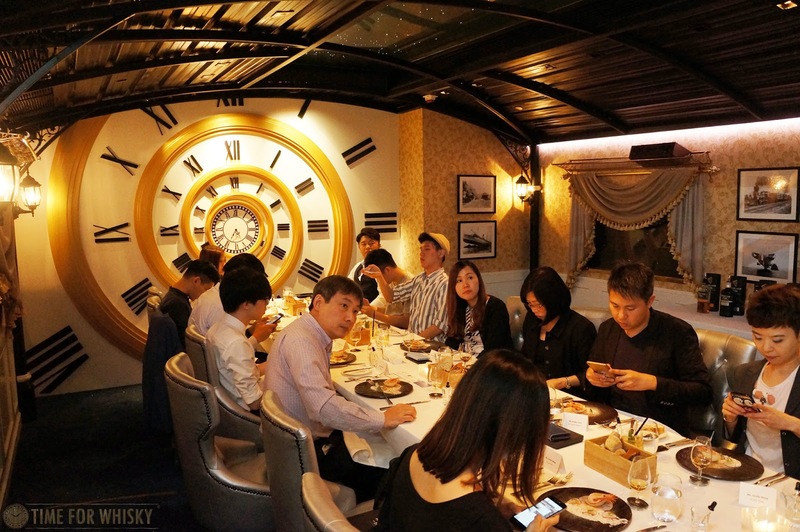 FINDS Hong Kong (located in TST's The Luxe Manor) are offering this 4 course menu paired with 3 Highland Park drams for $668HKD/person (+10% service charge), every day between now and 31st August (1 day advance booking required). 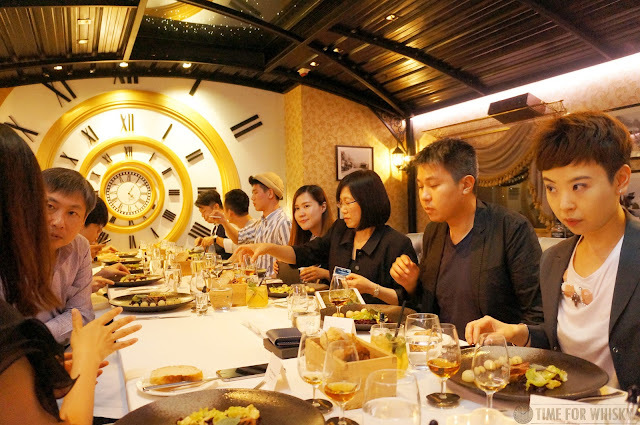 Bookings can be made via reservations@finds.com.hk or by calling +852 2522 9318. If you're a whisky fan, just beginning your whisky journey, you love Nordic cuisine, or you just want to see how a well-matched dinner and whisky menu is executed, we can highly recommend it. TimeforWhisky.com attended this event as guests of FINDS and The Luxe Manor. A big thanks must go to the FINDS / The Luxe Manor team, as well as Edrington for the invitation.